Hey Chicago Sangat, looking for a good workout for your mind when it comes to Sikh heritage? 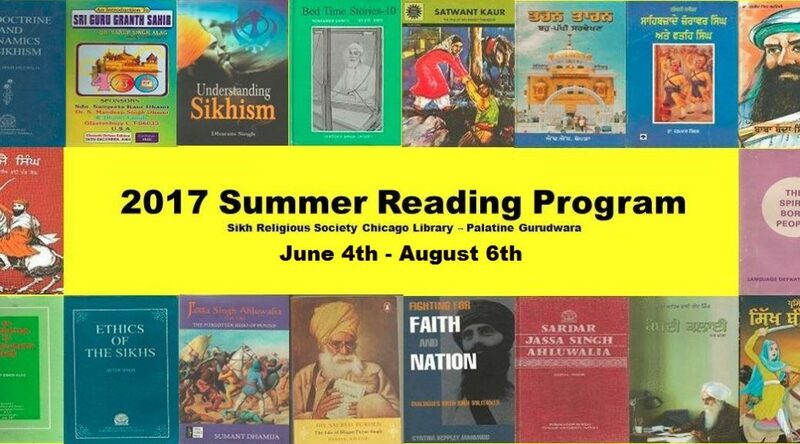 The Sikh Religious Society Chicago Gurdwara Library invites all of you youngsters and the young at heart to participate in the 2017 Summer Reading Program. The synopsis/review submitted may be shared on the SRS website, Library facebook page and/or comments section of the library software.